Pick & mix your own floor stand! This product is for our 4 sided flat packed or welded cage option. 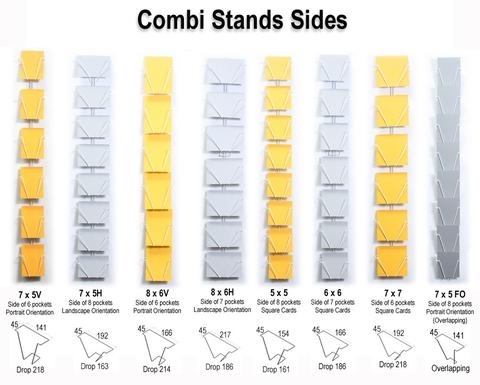 Do you want to display different sized cards on one display? The Pick & Mix stand offers a wide range of options to display different sized greeting cards on the same spinner display. These floor display stands are also available as a 6 sided unit and as wall racks. Flat packs are easy to assemble and come with assembly instructions. 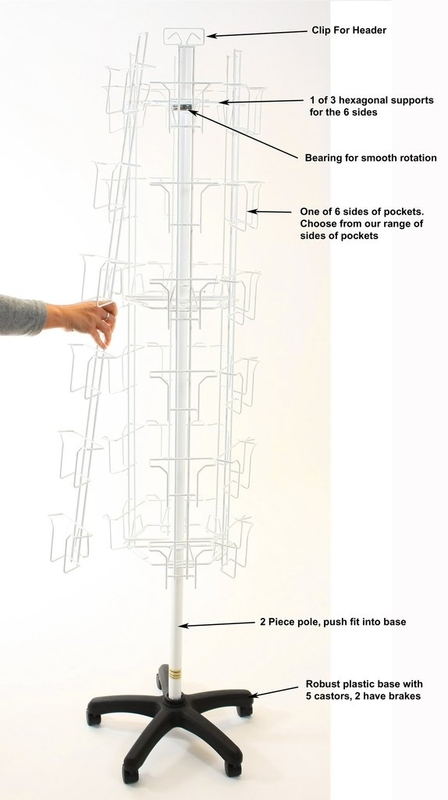 The flat pack displays are plastic coated and are available in white or platinum. Welded cages can be supplied in 5 colours. Remember you can have a different side, on each side!